Within the annual European conference of ISPE (International Society of Pharmaceutical Engineering), a business meeting between the steering committee of the EAEU’s International Society of Pharmaceutical Engineering (EAEU’s ISPE) and the steering committee and the senior management of the International Society of Pharmaceutical Engineering (ISPE) was held. On 02 April, the Head of the EAEU’s ISPE, the Line Manager of the EAEU’s Pharmaceutical Inspectorates International Cooperation Department of SID & GP Mr. Vladimir Orlov, a member of the Society’s Board of Directors Ms. Oksana Pryanichnikova and the Secretary of the EAEU’s ISPE, the Deputy Head of the International Cooperation Department of SID & GP Ms. Polina Bobyleva had a business meeting with the President of ISPE Mr. John Bournas and the Vice President of ISPE for Europe Mr. Thomas Zimmer. Based on the outcomes of the talks on the prospects of future cooperation between the two engineering associations, a decision was made to hold an official annual ISPE conference in Russia at the end of 2019 – beginning of 2020. Besides, the parties agreed on organization of training workshops on the hottest GxP topics taking into account the ISPE’s expertise. 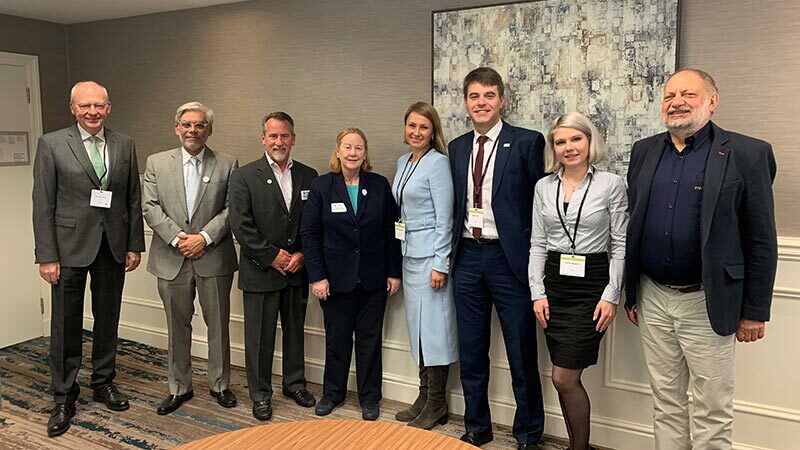 One of the most significant results of the meeting between the representatives of the EAEU’s ISPE and ISPE was the decision on drafting official translations of the selected ISPE Guidelines into the Russian language with due regard to the polling among the Russian-speaking ISPE members. The management of ISPE confirmed the intention to support the steering committee of the EAEU’s ISPE on all the specified areas of activity within the Eurasian region.